Most salespeople underperform – that is they fail to consistently hit reasonable sales targets. Most businesses underperform – that is they fail to consistently to hit the average market growth rates. 1) Failure to properly identify qualified prospects. Most salespeople spent most of the time speaking to people who will not do business with them. The reasons are many, no interest, no need, and no money or absolutely satisfied with the current provider. 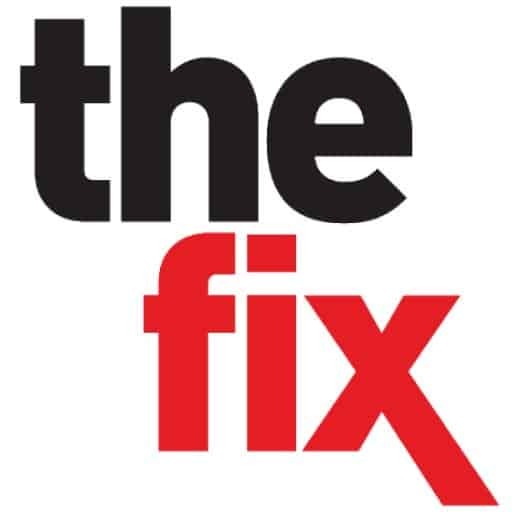 The fix! Identify the traits of your happiest, most satisfied customers and use this as a filter when developing a prospect list. Don’t chase a girl who does not want to get caught! 2) Failure to manage your sales pipeline. Most salespeople do not spend enough time prospecting and so when the inevitable drop in business occurs there are no fresh opportunities in the pipeline. 3) Wasting Sales leads. Many salespeople simply failure to follow-up on leads and prospects in a timely manner. There is a balance between stalking and ignoring but too many salespeople let leads linger too long and the opportunity is lost. The fix. This is a real simple one – using Outlook or a CRM system schedule follow-up action immediately after every client interaction. This will keep leads alive and will make certain that your pipeline is being constantly nurtured. 4) Failing to Cold Call effectively. Many salespeople have a great source of leads but simply burn them aggressive, inept, poor quality cold calling that turns off the prospect. The fix. Take some time to think about your cold calling approach. Is it respectful of your client and your long-term potential relationship? In many case a more gentle, humble approach made up of three or four calls will have a better chance of booking a meeting with a prospect than one thoughtless kick at the can. 5) Lack of a compelling sales message. Most salespeople start with one lame phrase about unique benefits and never refine the message. It is clear it is not working so the solution is to keep using it? The fix. My favorite expression in sales is: ‘let the prospect write the pitch.’ Listen to your prospects feedback. Overtime you will get clues to what is important to them. Use those words, ideas and phrases to constantly refine and perfect your pitch. 6) Inability to close. Too many salespeople simply can’t ask for the order. They talk and talk and handle all the objections but simply can’t close. The fix. Make a point to always ask for the order. Now, this takes some common sense but if you have dealt with the objections then close. Ask for the business. Most salespeople don’t do this and many opportunities are simply lost. 7) Failure to manage customer attrition. On average most companies will lose about 14% of their customers. Now some will go out of business, die or simply stop having a need for your products. However, the greatest is lost by neglect. The fix. Make certain that you are in regular contact with all of your customers and using Outlook or your CRM to automatically schedule regular calls will decrease the loss. 8) Failure to service existing accounts. Getting business is hard enough so don’t lose customers with poor service. The fix. As a salesperson you need to follow the order through your internal delivery process and be certain problems don’t occur or fixed as quickly as possible. Develop contacts within fulfillment and the credit department to make sure orders stay on track. Again using outlook to schedule a quick follow-up with the customer after deliver keep the relationship strong. 9) Failure to invest in training. Very few companies or salespeople invest any money in training whatsoever. Companies often think it is not worth the investment and salespeople think they know everything already. The fix. Selling is a complex and rapidly changing skill set. Companies should recognize this and invest in training but salespeople need to recognize that they are responsible for their own careers and invest in books, audio programs and seminars on selling. 10) Thinking small. The fastest way to grow your business is to find bigger customers. The fix. Identify your largest existing customers and develop a strategy to get closer to them, to get more involved in their businesses. Mine these customers for more business and larger order. Specifically target new larger prospects that can have a huge impact on your business. This may involve investing in your skills, marketing and fulfillment but this is the fastest way to grow a business or sales territory.